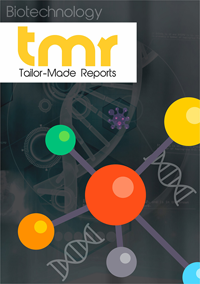 The global biotechnology market is mainly driven by the surge in the demand for food, depleting natural resources, government regulatory support, and technological advancements of various solutions to counter fatal diseases. The advent of stem cell technology, nanotechnology, and cloning has also propelled this market substantially and is expected to continue aiding to this market in the years to come. However, the dearth of awareness among consumers regarding biotech products and the long duration between research and commercial production of these products may act as a restraint to this market over the next few years. Apart from this, the market will also face challenges from the ethical and social issues with clinical trials in the near future. Biotechnology finds extensive application in several industries, such as agriculture, pharmaceuticals, downstream chemical processing, and bioservices. The pharmaceuticals industry has emerged as the main application area of biotechnology with biopharmacy surfacing as the leading segment of the global biotechnology market. The industrial application of biotechnology is also on the horizon with the rising demand for biofuels and bioenzymes in a number of applications. The agriculture sector is anticipated to primarily apply biotechnology for the genetic modification of crops and the production of bioseeds over the forthcoming years. Biotechnology is the employment of organisms and living systems in order to develop products or a technological application that further uses derivatives, living organisms, and biological systems thereof, in order to create or modify processes or products for specific use. Relying on the applications and tools, it at times overlays with related fields such as molecular engineering, biomanufacturing, biomedical engineering, and bioengineering. Biotechnology draws from cellular and biomolecular processes in order to formulate several products ranging from industrial enzymes to drugs. The application of biotechnology is also rising in the agricultural sector in order to protect the crops against insects and pests. The existence of government organizations such as the Department of Biotechnology (DBT) and many other government funded institutions such as National Biotechnology Board (NBTB) and several other independent institutions working in the field of biotechnology are boosting in funds in order to support initiatives related to product development and research and development regarding advanced in biotechnology. These factors are expected to bring in more funds for biotechnology research. Growing demand for new technologies such as tissue engineering, fermentation, recombinant technology, and DNA sequencing is expected to magnify the size of the biotechnology industry. Rising demand for food for meeting the unmet needs of the incessantly growing population across the globe and low availability of natural resources that are non-renewable is expected to fuel the growth of the global biotechnology market. Genetic modification and genetic engineering has applications in agricultural food items and is thus is likely to stimulate the adoption of biotechnology further. Moreover, declining prices of technologies related to DNA sequencing is anticipated to trigger the commencement of research and development activities in order to understand genetic variations better and developing therapeutic solutions. However, the growth of the global biotechnology market is likely to be hampered by due to the high risks associated with genetically modified crops and organisms and also due to ethical issues regarding clinical trials. Lack of understanding of biosystems creates difficulties in predicting the nature of the artificial organisms made from biotechnology experiments. However, the sector can expect more funds owing to the growing need for understanding chronic diseases at a molecular level and conduct novel diagnostic and therapeutic procedures. In April 2016, BASF SE commenced a new research and development center at the Crop Protection division headquarter in Limburgerhof, Germany in order to achieve biological crop protection and seed solutions. In June 2016, BASF signed an agreement in order to acquire Chemetall, a developer and producer of treatment and system solutions for surface treatment. The acquisition is expected to advance the technologies of BASF SE. Another major merger occurred of DuPont with the Dow Chemical Company in order to diversify to diversify its seed and crop protection portfolio. North America and Europe are expected to emerge prominent in the global biotechnology market. This progress can be attributed to the rising initiatives in terms of research and development by prime industry players and growing awareness among private and public research institutions. Even the market in Asia Pacific is likely to exhibit lucrative growth opportunities in the coming years owing to favorable regulatory scenarios. Leading players in the market are adopting strategies in terms of acquisitions and mergers and strategic collaborations in order to maintain a strong hold in the market. Some of the leading players in the market are Sanofi, Lonza, Novartis, F. Hoffman La Roche, Genentech, GlaxoSmithKline, Pfizer, Johnson & Johnson, Genzyme, Celgene, Biogen, AstaZeneca, Amgen, and Abbott.